Whether they admit it out loud or not, many global warming alarmists want more destructive weather events to validate their assumptions. But what happens when they can’t get their “dirty weather,” as Al Gore calls it? Then they’ll just have to define down what a disaster is. 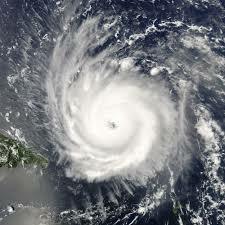 The weather refused to cooperate with Gore and the U.S. went 11 years without a hurricane making landfall. But Hurricane Matthew renewed the alarmists’ faith in their own nonsense. Acting is if 11 days rather than 11 years had passed, Gore said last week that in Hurricane Matthew, “Mother Nature is giving us a very clear and powerful message.” From the same stage in Florida, Hillary Clinton said “Hurricane Matthew was likely more destructive because of climate change.” The Washington Post, ever dutiful to the man-made global warming narrative, asked climate scientist Michael Mann (whose hockey stick chart supposedly proves human-caused warming but fails the test for some) about her statement. Naturally, he told the Post she was “absolutely” right.